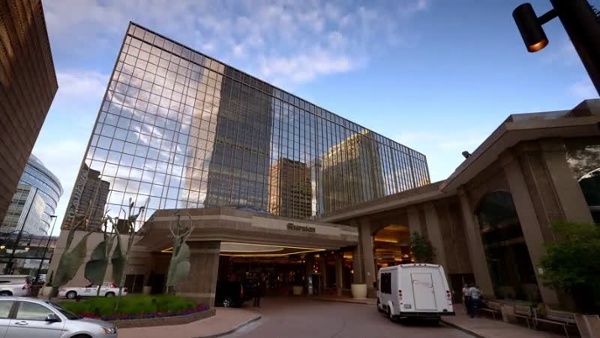 The Sheraton Denver Downtown is the official venue and hotel for the Cartegraph National Conference. The Sheraton is sold out for Tuesday, April 30. If that impacts your travel plans, we've opened another hotel block a block away at the Hilton Denver City Center. Attendees staying at the Sheraton will receive a complimentary breakfast each morning of the conference. We're talking waffles, omelets, and breakfast burritos. Yum. Get to know Cartegraph experts, speakers, and users at breakfast, in the lobby, or at the bar. Make valuable industry contacts that can help you overcome your biggest challenges. Need more business cards? A power nap? Tired of carrying around your conference swag? Your room is conveniently only an elevator ride away. There are still rooms available at the Sheraton Wednesday-Friday night. Coming to town on Tuesday? No need to fear: we reserved more rooms only a block away at the Hilton!